The new season is here! The first episode will air tomorrow Friday 25th of November at 20:00 exclusively on YouTube Kids and YouTube. This new season is made up of 26 episodes and it will be available in English, Spanish, Brazilian Portuguese and standard Spanish. Pocoyo, Elly, Pato and the rest of the group will continue living their amazing adventures together while they learn through laughter. The new series is full of surprises. A new mysterious character will join Pocoyo and his friends! Zinkia has been working for 14 months to produce the new season with more than 50 professionals, including five American scriptwriters specialized in Children’s content. The new episodes maintain the characteristic and unique visual language the series is known for. 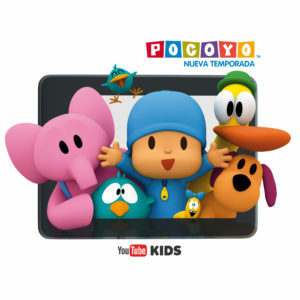 Pocoyo remains loyal to his values of respect, tolerance and friendship. The episodes reveal a wide variety of stories aimed at kids from 0 to 6, following Zinkia’s plan to increase the core target. 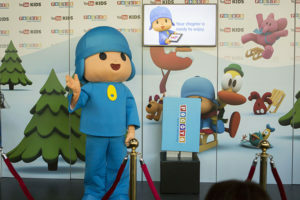 The new Pocoyo episodes will still speak the show’s well-loved visual language, where colors, shapes and music build a unique world. The show also continues to focus on core values such as respect, tolerance and friendship. In addition to the character’s educational spirit and curious nature, this new season cranks up the adventure and puts the whole group center stage. The main innovation is the introduction of a new female character who will be joining Elly, Pato, Loula, Pulpo, Pajaroto, Pajarito and Valentina, and will be sharing the limelight with Pocoyo. Over 50 professionals, almost half of which are women, are working on the 26 episodes in the new season. 3D artists, animators, programmers and producers are just some of the profiles taking part in this project, who have worked closely with US writers with a strong background in kids animation. The complex production, built on Maya with the Arnold rendering engine and developed using original tools programmed at Zinkia, kicked off in February and will be completed in April 2017. Each episode is in production for approximately four months. 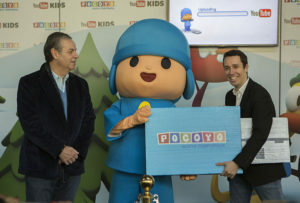 Originally created as a TV show, Pocoyo celebrated its 10th anniversary and has positioned itself as Spain’s most successful entertainment brand across the world. 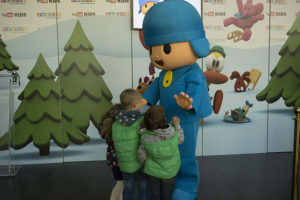 The fourth run of episodes launches after three hit seasons consisting of 52 x 7 minute episodes and “Pocoyo y El Circo Espacial,” a 25-minute short film. 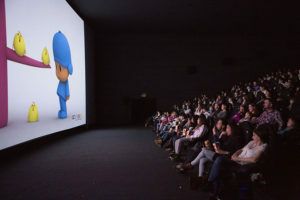 Pocoyo’s new season premiere celebrated in theaters was a total success! The event took place last Saturday November 19, simultaneously in Madrid, Barcelona, Sevilla, Valencia and Andorra. 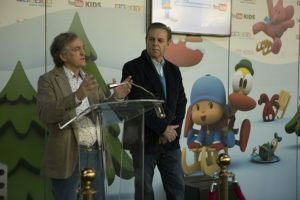 The guests who attended the event could watch two new episodes before having it on YouTube Kids. The new series will launch November 25 exclusively on YouTube, through the app YouTube Kids. 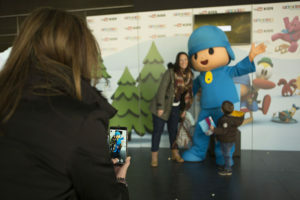 People had a great time taking pictures with Pocoyo and enjoying the new series. The guests got their tickets thanks to a Pocoyo’s Facebook page promotion. Miguel Vallarades, Zinkia’s president and Alberto Delgado, Zinkia’s CEO, were at the premiere. Both had very positive words about the new season. They expressed as well, their excitement about this new chapter for the company. 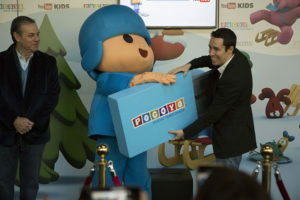 We experienced a unique and funny moment when Pocoyo gave the USB that contained his new season to Elías Moreno, YouTube strategic manager. “This launch stresses Zinkia’s commitment to develop quality content for YouTube Kids, a platform that is constantly growing and becoming a favorite destination for Spanish Families”, says Moreno.